If your stress levels about finding the perfect gift for this Valentines Day are rivalling that of Alan Rickman trying to buy a gold necklace for his side chick, we’ve got the answer for you. With this year’s V Day falling on a Wednesday, we reckon this leaves all the opportunity for a weekend getaway, or the chance to chuck a (love)sickie. Turn your chocolates and home-stay into a mini vay-cay – romantic enough to make Ryan Gosling jealous. Forget Netflix and Chill, the New Inchcolm Hotel is steaming things up with their Romantic Night In package – complete with romantic scattered rose petals, a decadent dessert platter (because let’s face it, food is and always will be our first true love) and a bottle of Moet upon arrival. Questioning whether the knots in your stomach are butterflies or hunger pangs? Put yourself at ease knowing that Capri by Fraser won’t just supply you with sparkling wine, choc-dipped strawberries and a beautiful indoor pool, but a 4 course Valentine’s dinner at their Asana restaurant. Brokeback Mountain who? Feast your eyes on Clear Mountain Lodge, a beautiful country retreat just a 40 min drive from the city. Nothing says romance more than dinner with a view, and say I do to their Valentine’s Special, a three course meal with a Bellini cocktail. Away from the chaos of Cavill and oozing old school Miami charm, QT is a definite vay-cay cutie. With a feast so good you’ll be on your japan-knees, Yamagen at QT Gold Coast takes your V Day international complete with bubbles and an Omakase set menu. 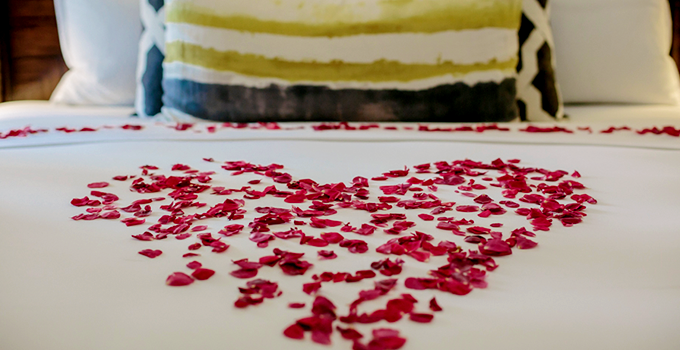 If you’re feeling more traditional, Bazaar will indulge you with live music, bubbles, desserts, polaroids and roses. Leave your worries on the mainland and get wild at the Adder Rock Campground. Leave mosquitos, sleeping bags and temperamental torches behind while you snuggle up to your loved one in the comfort and style of beachfront luxury tents. Go gourmet and stock up on wine and cheese from Pantry on Grey before you have the glamping experience of a lifetime! If your idea of romance involves a man, a horse and a beach, Elements of Byron supplies 2 out of 3. With sand, sea and sounds, lay back on scenic Byron Beach as you’re serenaded by the voice of Pete Murray, playing from the 12th to the 16th of February. 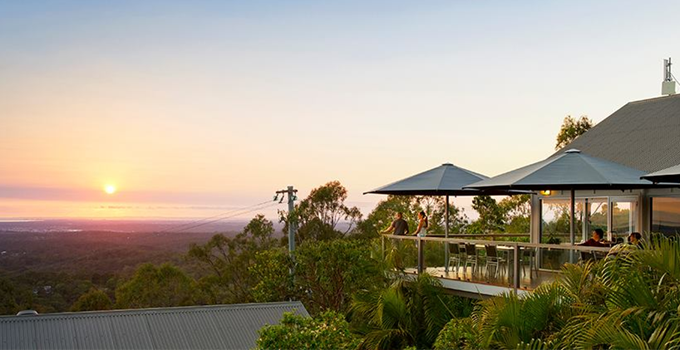 Go all out at the Gold Coast, check out our guide for info on the hottest places to share a foodie escape. - the gourmand who will be celebrating Single Awareness Day this year.